The girls and I did a little craft today! 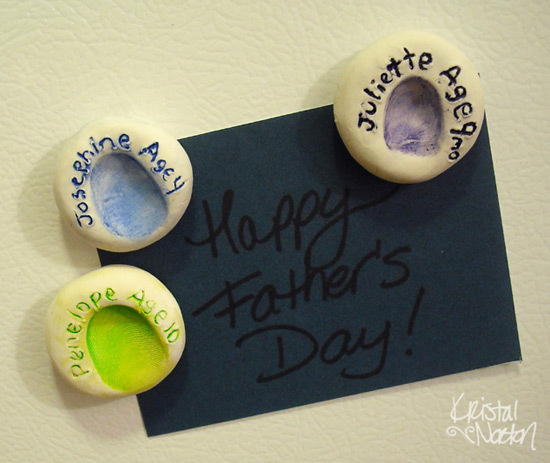 We made these cute little keepsake thumbprint magnets to give Daddy on Father’s Day. I thought you’d enjoy a tutorial so you can make these with your own kids. The magnets would be great as gifts for moms and grandparents too! You could also make them into thumbtacks (OH he he! 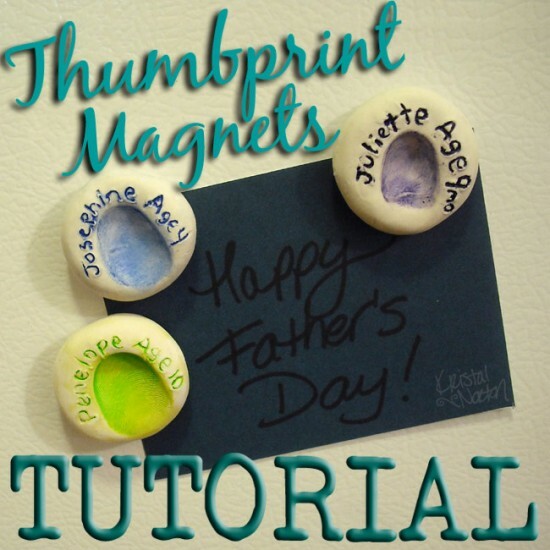 Thumbprint thumbtacks! LOL). 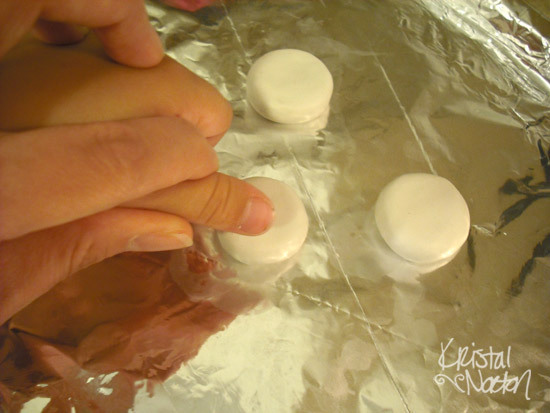 You’ll need some oven-bake clay, a toothpick, baking sheet, tinfoil, craft or acrylic paint, a rag, E-6000 glue, and some magnets (I used 1/2″ neodymium magnets that I purchased off Etsy). 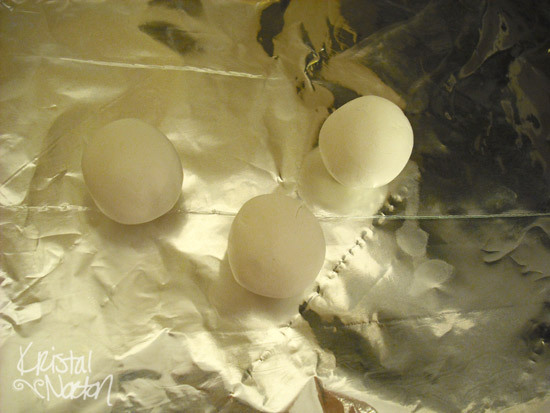 Step 2: Line a baking sheet with foil, then roll the clay into 1″ balls. 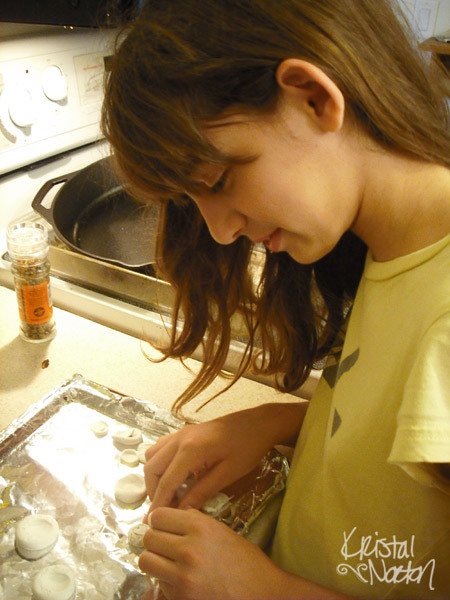 Step 3: Gently squish the clay to make round disks. 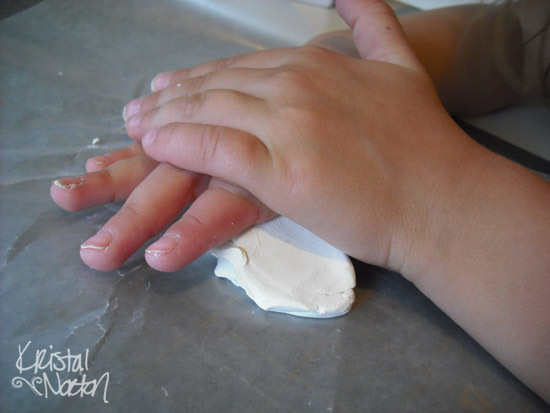 Step 4: Help your child gently press their thumb into the clay. Try not to let them wiggle too much so you get a clean impression! 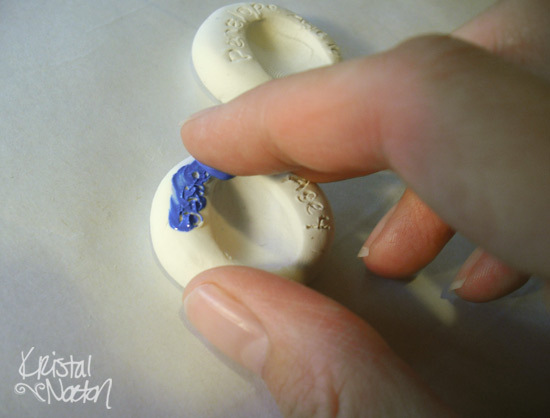 Step 5: Next, use a toothpick to carefully write their name and age around the thumbprint. It can get a little tricky (especially with the letter ‘e’), so go slow. 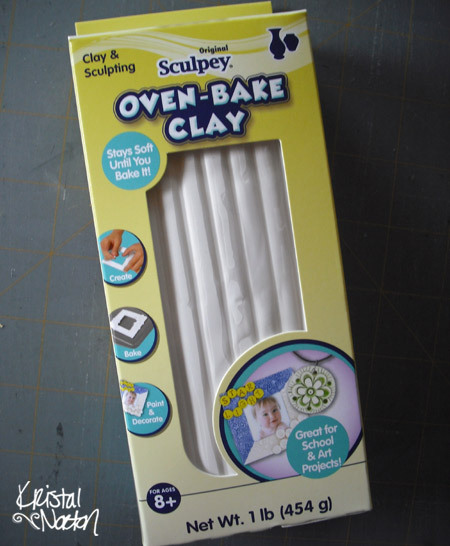 Step 6: Bake the clay according to the directions. I had to bake mine for 15 minutes at 275F. 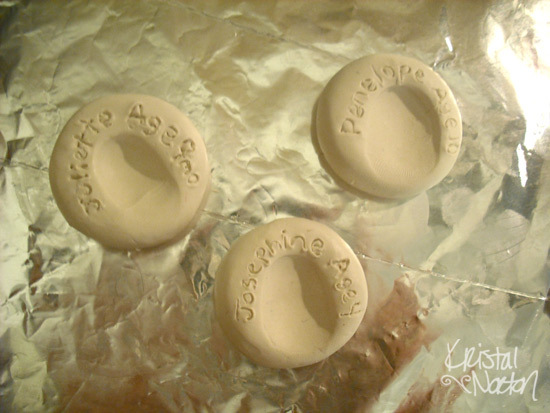 Step 7: When they are completely cooled, use your finger to press some paint into the name. 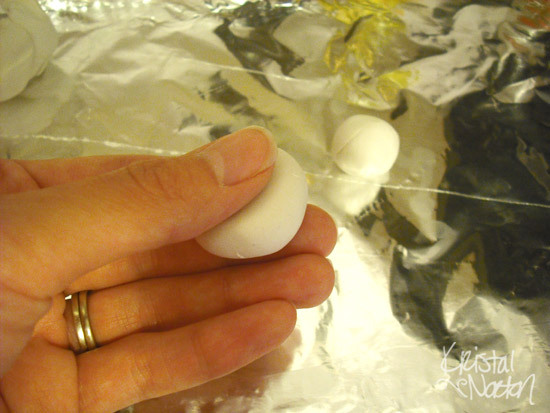 Step 8: Use a slightly damp cloth to gently rub off the excess paint. 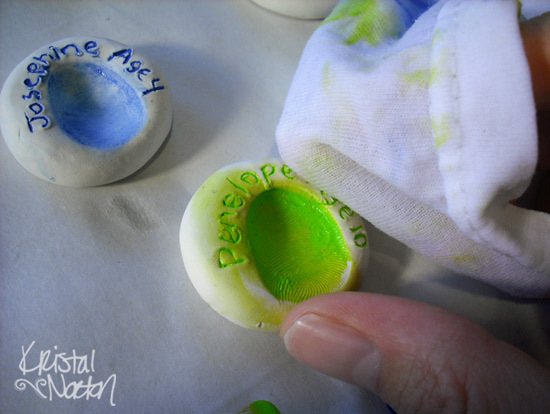 To color the thumbprint, add paint with your finger, then with a clean finger, gently swipe the excess paint away. The markings in the thumbprint are not deep enough to hold paint if you rub it with a rag. 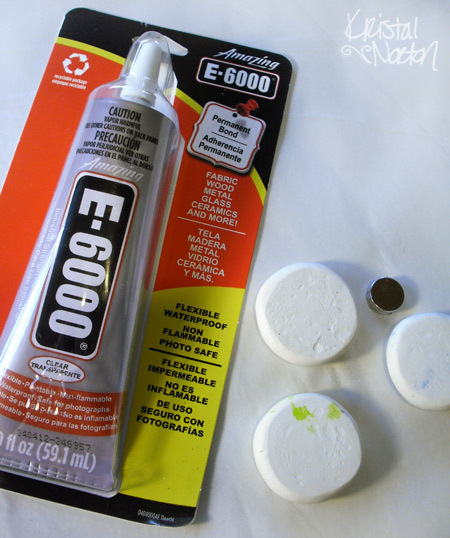 Step 9: Lastly, glue magnets to the back using the super-duper-awesome E-6000 glue. 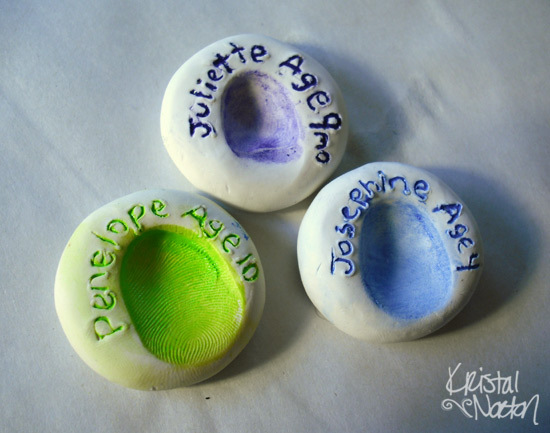 I’m sure any family member would love to get a keepsake like this from their beloved little ones! Aren’t they cute!? 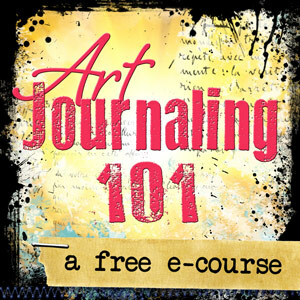 I hope you enjoyed the tutorial! We sure had fun making them! These are sooooooo cute Kristal! I got lost in life and have many posts to catch up on!!! Hopefully tonight I will take the time to read!!! I may try these with the grandkids this weekend! We are having a graduation party for our son so I will need to entertain the little ones some how! Thanks Teresa! The girls had a blast making them. :) I’m sure your kiddos would too! This is a great idea–thank you! I used some tiny leaf cookie cutters to shape the clay before the kids put their thumb print in it and they turned out super cute. Great idea!! What kind of paint did you use? I am a kindergarten teacher and we made these magnets for Grandparents Day and they loved them!! Thank you!